Hey there! Tonight I leave you a DIY! 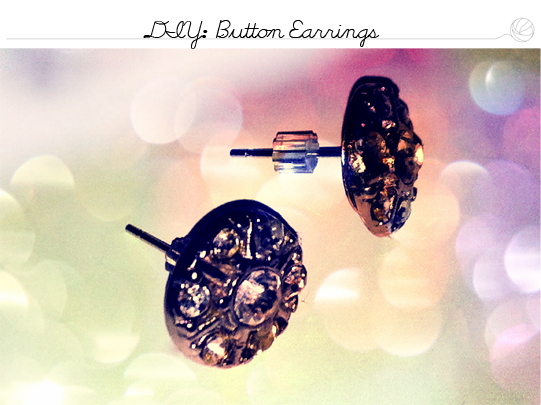 How to do earrings with buttons! Hope you enjoy it you can try the same for rings! Começamos por cortar a parte de trás do botão! First we have to cut the back part of the button! Then we only have to fix it with glue, so easy! Very inspiring! I have to try this!